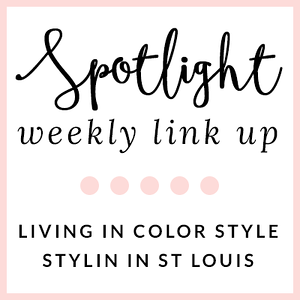 Stylin in St. Louis: Spotlight of the Week: Red and Green Style…. 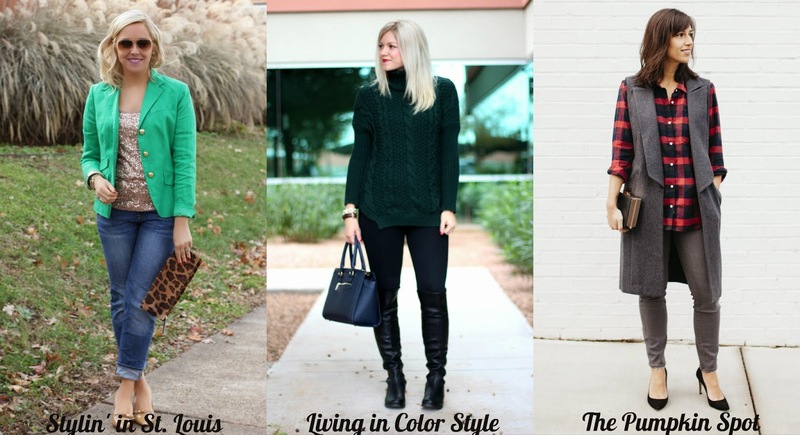 Spotlight of the Week: Red and Green Style…. Happy Thursday! Today our spotlight of the week theme is red and green style. I decided to go with green for this look this link up. I have been wearing a lot of red lately and I wanted to do something a little different. This green blazer is a sale find from last year. I wanted to make this look a little more festive, so I added a sequined top to give a more holiday look! Come share your red and green looks with Elle and I! 1. 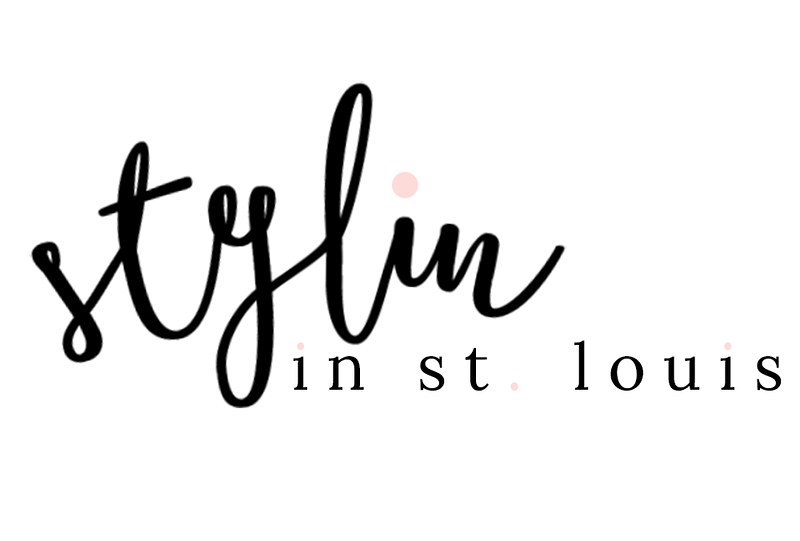 We kindly ask that you follow the two hosts: Elle from Living in Color Style and Jacqueline from Stylin' In St. Louis via Bloglovin or GFC and of course our co-host Becky of The Pumpkin Spot . Spotlight: Our spotlight of the week is Tracy of It's Mostly About Fashion! We just love Tracy's layered look! Her sequin top is the perfect amount of sparkle to her look! Be sure to check out her cute blog! Next Week: Next week our spotlight weekly theme is Holiday Glam! Thanks for linking up! See you next week! Love your sequin top and cute blazer. I love your sequin top! It goes perfect with your blazer, adorable outfit! I love your sequin top! Such a chic and festive look! Yay for sequins! Love it. :) And that clutch is too cute! I love your little twist on the theme. You do see a lot of red at this time of year, and not as much green...but green is a nice colour too! Love your green blazer! So fun with the sparkle underneath! Eeek! Thanks for the feature this week. I love, love the color of that blazer. It's such a pretty and unique green. And the sparkle underneath is perfect. Wow - the gold sequin top and the green blazer, just amazing!!! Love the combo of green & sparkly - so fresh & chic!! Wishing you the best of the holidays too!!! The color of your blazer is soo pretty! perfect the holidays and afterwards! I love that green blazer with the sparkle tank! So fun with that leopard clutch too! Aw - love that blazer, especially paired with the animal print clutch! Absolutely love your green blazer! The sparkly tank underneath is perfect! You look super stylish, I love your green blazer!!!! Love the pretty gold sequins top with the green blazer, they go perfectly together!! You look amazing in this outfit. Love that green blazer! And the gold sequin top looks fab under it! That green looks gorgeous against the gold sparkles! I love the touch of sparkle you added to this look! You look glamorous and chic! I have been wanting a green blazer for AGES, and this look is convincing me that it might finally be time to take the plunge...! So, so cute paired with sequins.